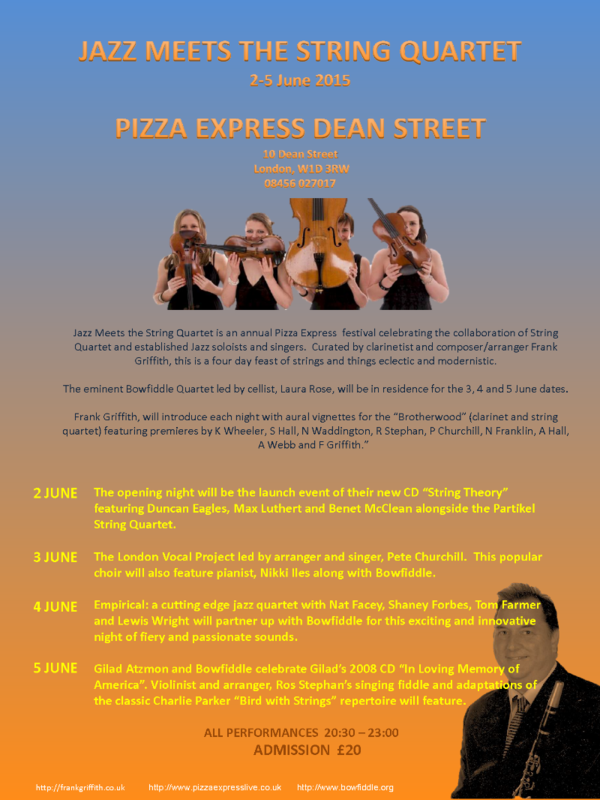 Next Wednesday 3rd June, LVP join Bowfiddle for the Pizza Express String Quartet Festival. The first half will feature Bowfiddle performing a mix of music, including a rare performance of a Kenny Wheeler string quartet. Then in the second half the quartet are joined LVP, featuring music by Kenny Wheeler, Bobby Wellins, Nikki Iles and Pete Churchill - as well as new arrangements of folk songs and spirituals. Tickets are £15, doors open at 7pm and music starts at 8.30.